Adam Bodony is Visiting Instructor at Purdue, the Director of Orchestras since 2015. 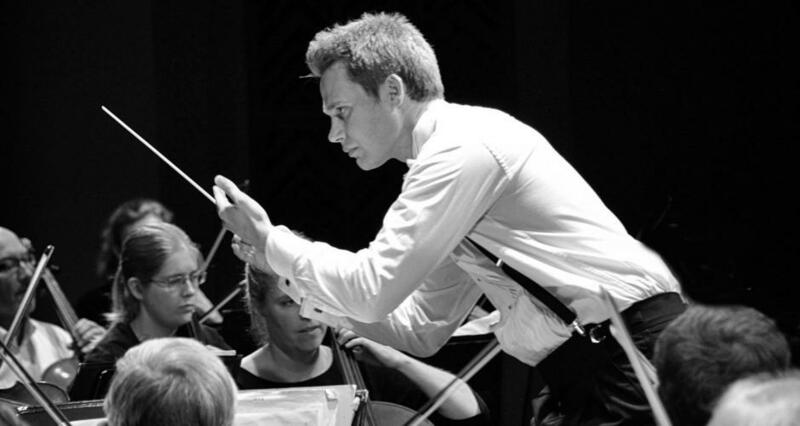 He currently serves as Executive Artistic Director of the New World Youth Orchestras (NWYO) in Indiana. Based at the Hilbert Circle Theatre in Indianapolis, NWYO is an organization of youth orchestras with an enrollment of approximately 220 young musicians from all over the state of Indiana. The organization’s top orchestra made its Carnegie Hall debut in 2016 under the direction of Mr. Bodony. Adam’s previous posts include Artistic Director of the Bloomington Symphony Orchestra (2014-2016) and Associate Conductor of the Missouri Symphony Orchestra’s Hot Summer Nights Music Festival (2013-2015). Mr. Bodony has also worked with the Indianapolis Symphony Orchestra, Indianapolis Chamber Orchestra, Bohuslav Martinu Philharmonic Orchestra (Czech Repulic), as well as several high school, college, and community ensembles across the country. His primary conducting teachers include Arthur Fagen, Leonid Korchmar, and Kirk Trevor. WBAA’s Greg Kostraba talks with Adam Bodony, Interim Orchestra Conductor at Purdue. They discuss Purdue's orchestra program and preview this season’s concerts.